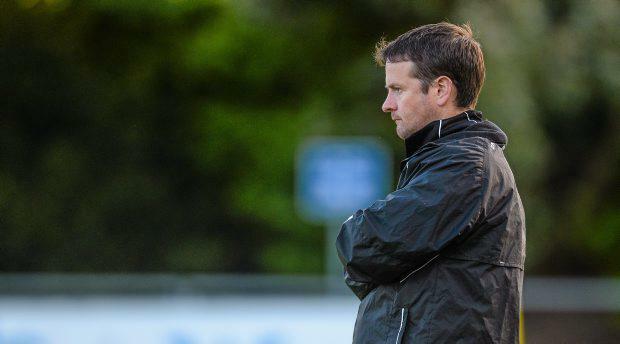 IT WAS double celebrations for UCD manager Collie O’Neill as he welcomed his third child just hours after the team’s Europe win. 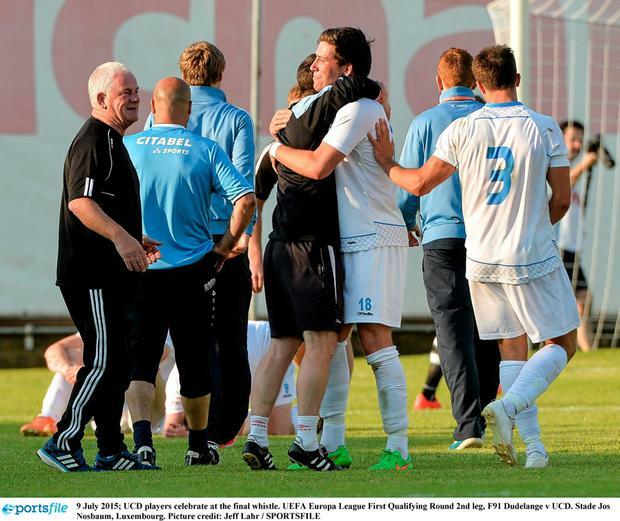 The manager touched down in Dublin hours after UCD made history during the second leg of their Europa league qualifier in Luxembourg at around 2am. As it turns out he was in the nick of time as he was in the Coombe maternity hospital shortly after. His wife Jenny gave birth to their third child, a boy they’ve named Carl, at 5.45am. “So good of my wife to hold on until I got back from Luxembourg,” joked the third time dad on social media. The soccer manager was late joining the team abroad yesterday as his wife was overdue with baby Carl. He arrived in the Grand-Duchy at lunchtime. It must have been a tense week for the Churchtown resident as he waited for both his new bundle of joy and last night’s historic game. UCD lost against F91 Dedelange last night but managed to hold out to book their place in the league on away goals with a ten man team. Their historic progression in the league will earn the student team some €210,000 to add to the €200,000 they secured for qualifying. The arrival of baby Carl has been a running joke for the manager and followers of the club throughout the season. Hopefully the new addition to the O’Neill family can act as a lucky mascot for the team as they face the second round of qualifiers. Next week O’Neill will lead them to meet Slovak side Slovan Bratislava. It will remain to be seen if the newest O’Neill will follow his dad into the world of football but his family certainly have form. His granddad was a coach with Home Farm when they were a League of Ireland team. Congratulations for the popular manager and his wife flooded in this morning as they shared the news with family and friends.